Since its inception in 1987, CHC has been driven by a vision: “To be an outstanding distributor and service provider, driven by enthusiastic and dynamic people, with the utmost integrity, providing exceptional service to meet the needs of our Principals and Customers”. It is this strong and deep rooted vision that saw the Gerber Goldschmidt Group (SA) invest in CHC in July 2015. This resulted in the formation of CHC GLOBAL (Pty) Ltd which encompasses Dry Bulk Chemicals and BOPP Films & Adhesives. CHC’s competitive edge lies in is its blue chip suppliers and partners, many of whom are respected multi-national corporations i.e. HB Fuller Adhesives, Jindal Films Europe, Grupo Crimidesa and many others. CHC Global is an audited BBBEE Level 3 Contributor with a procurement recognition level of 100%. 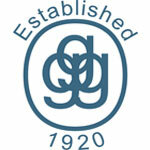 Gerber Goldschmidt Group is a premier investment and international private equity firm established in 1920.